Retiring ARRL CEO David Sumner, K1ZZ, "Passionate about Amateur Radio"
On a February 11 voice vote, the US House Subcommittee on Communications and Technology sent the Amateur Radio Parity Act, H.R. 1301, to the full House Energy and Commerce Committee with a favorable report for further consideration. The measure was among three bills the Subcommittee considered during a February 11 "markup" session. The Subcommittee is chaired by Rep Greg Walden, W7EQI (R-OR). "I'm optimistic that we can put the finishing touches on these bills in the weeks ahead and once again produce important, bipartisan legislation that protects consumers, small businesses, and access to the latest communications services," Walden said after the hearing. During the markup session, Walden and the bill's sponsor, Rep Adam Kinzinger (R-IL) made impassioned statements in favor of the legislation. Kinzinger said that while he can appreciate some of the concerns expressed by those who do not agree with his bill, he believes that the time has come to adopt a "reasonable accommodation standard" with respect to the erection of outdoor antennas in neighborhoods governed by private land-use restrictions. H.R. 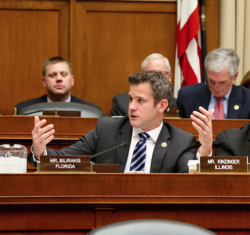 1301 sponsor Rep Adam Kinzinger (R-IL) at the February 11 subcommittee hearing. Walden agreed. "You don't necessarily need to have a giant tower blocking everybody's view," he pointed out to the Subcommittee. He suggested that more modest antenna systems often are sufficient. He and Kinzinger noted that there is common ground between proponents and opponents of the measure and that "it's important to get this done." Rep Anna Eshoo (D-CA) also spoke to recognize the work all parties have been doing to ensure the bill's passage in the House. H.R. 1301 would direct the FCC to extend its rules relating to reasonable accommodation of Amateur Service communications to private land-use restrictions, such as deed covenants, conditions, and restrictions. The bill has attracted 120 cosponsors from both sides of the aisle. An identical US Senate measure, S. 1685, has attracted three cosponsors. It cleared the Senate Committee on Commerce, Science, and Transportation last November. More information about the legislation is on the ARRL Amateur Radio Parity Act web page. Read more. New ARRL President Rick Roderick, K5UR, led members of the ARRL team in greeting visitors to the ARRL Expo during Orlando HamCation February 12-14. HamCation hosted the 2016 ARRL National Convention. The event marked President Roderick's inaugural ARRL National Convention appearance since his election in January. The weather was pleasant, and the ample crowd friendly and enthusiastic. Incoming ARRL CEO Tom Gallagher, NY2RF, also was on hand, and the ARRL team that was helping members to write letters to members of Congress in support of the Amateur Radio Parity Act recruited him to sign a letter to his representative. During a packed ARRL National Parks on the Air (NPOTA) forum, ARRL Media and Public Relations Manager Sean Kutzko, KX9X, and Field Services and Radiosport Assistant Manager Norm Fusaro, W3IZ, outlined the ins and outs of the year-long operating event. In the Amateur Radio Public Service and Amateur Radio Emergency Service (ARES) forum, ARRL Emergency Preparedness Manager Mike Corey, KI1U, emphasized the value of keeping ARES volunteers engaged throughout the year. "ARES must constantly adapt," he said. "We can't keep doing things the same ways we've always done them." Even in times of calm, he advised, ARES team leaders must keep their members motivated, and team building is important. Corey said that in 2015, the ARES program had 17,756 participants, up from 10,471 the previous year. They took part in more than 25,000 events -- most of them not emergencies but public service events. ARRL President Rick Roderick, K5UR, told the ARRL Member Forum that he's excited about the future and wants to "grow the hobby and grow the League." "Getting on the air is the most important thing you can do as a radio amateur," Corey told his audience. "Amateur Radio requires constant learning and improving." At the ARRL Member Forum, ARRL CEO David Sumner, K1ZZ, said he was looking forward to the arrival of incoming CEO Tom Gallagher, NY2RF, at ARRL Headquarters on February 29, and "raising ARRL to a new level." 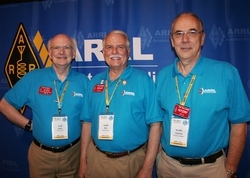 ARRL President Rick Roderick said the League's new Strategic Plan "is going to be our roadmap to the future." He said he wants to grow the League and Amateur Radio, and he challenged those in attendance to to come up with incentives to attract younger people to ham radio. ARRL Hudson Division Director Mike Lisenco, N2YBB, updated the forum on the progress of the Amateur Radio Parity Act and its prospects on Capitol Hill. Lisenco, who chairs the Legislative Advocacy Committee, said that although the bill's opponents have somewhat toned down their rhetoric, they still disagree with "reasonable accommodation." Retiring ARRL Chief Executive Officer David Sumner, K1ZZ, took the opportunity as keynote speaker at the Orlando HamCation® banquet on February 13 to deliver his valedictory. He steps down on April 18. 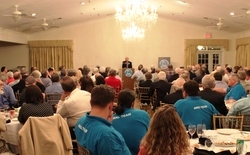 A sometimes-emotional Sumner told his audience about the role that Amateur Radio has played in his life, and he expressed optimism that it will mean as much to future generations as it has to him and to his. Passionate about Amateur Radio: ARRL CEO David Sumner, K1ZZ. [Bob Inderbitzen, NQ1R, photo. "I am passionate about Amateur Radio," Sumner said. "Our challenge is to explain our passion, how to convey it to younger generations that have grown up at a time when instant global communication is taken for granted. Can we do it? Can we explain the allure of acquiring the knowledge and skill to communicate anywhere on -- or in orbit around -- the planet without relying on any infrastructure whatsoever? I believe we can." Over the course of his remarks, Sumner spoke far less about himself than of the various radio amateurs who were significant influences on his life and his career, and who made substantial contributions. One of his paragons was Nobel laureate Joe Taylor, K1JT, who developed the WSJT software suite that spawned the popularity of JT65, JT9, and other "weak-signal" modes. At World Radiocommunication Conference 2012, Taylor received the International Telecommunication Union (ITU) gold medal -- introduced as a radio astronomer who got there through Amateur Radio. "If you think we don't have respect, I can tell you we do," Sumner said. "It was probably the proudest moment I've had in Amateur Radio." Taylor turned his interest in Amateur Radio into his field of radio astronomy, Sumner observed, and he was able to turn his knowledge of radio astronomy back to Amateur Radio through his various contributions. Taylor and Russell Hulse won the Nobel Prize in physics for spotting a binary pulsar generating what they determined to be gravitational waves, just as Einstein had predicted decades earlier. Last week, in a landmark discovery, US scientists observed gravitational waves. "Think about that: 1.3 billion years ago this thing happened, 42 years ago Joe Taylor theorized that it would happen eventually, and now it has been observed," Sumner said. "So Joe Taylor gets mentioned in the same sentence as Einstein." 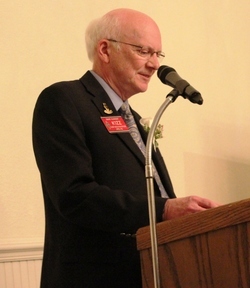 Sumner noted that in 1982 when he became ARRL's General Manager, he felt that he had experienced everything Amateur Radio had to offer, but his attitude has since changed. "Amateur Radio is expanding just like the universe," he said. "It is not possible for one person to be doing everything there is available to do in our avocation. It's going in so many different directions." "I have cherished the privilege of being able to turn a passion into a career and to not have lost the passion along the way," Sumner said, speaking of his lengthy tenure at ARRL Headquarters, including 34 years guiding the Headquarters staff. "And I can tell you, I have never wanted any other job." 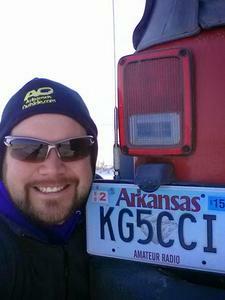 He said defending Amateur Radio spectrum has been the main focus of his years at ARRL. Sumner reminded his listeners of the ARRL's mission: "To advance the art, science, and enjoyment of Amateur Radio. It's a three-legged stool," he said. "Please continue to support the mission of the ARRL." "Thanks again, and see you on the air!" he concluded. He received a standing ovation. Before Sumner spoke, International Amateur Radio Union (IARU) President Tim Ellam, VE6SH/G4HUA, presented him with the IARU's prestigious Michael J. Owen, VK3KI, Memorial Award. Owen, a towering figure in the IARU, died in 2012. Ellam cited Sumner's "skill, diplomacy, and encyclopedic knowledge" of Amateur Radio, and his role on the international scene, starting with his service at the watershed World Administrative Radio Conference in 1979, which yielded the so-called "WARC bands," 30, 17, and 12 meters. Read more. President Barack Obama has designated three new national monuments -- all in California. The NPS will administer one of them, Castle Mountains National Monument (MN82), making it eligible to become the newest NPOTA unit. This means that there are now 484 NPOTA units to activate! Before registering a NPOTA activation, be sure to check the sensitivity of the unit you want to activate. Some units are listed as "extremely sensitive" on the list of NPOTA units and require advance coordination with National Park Service administrators well before your activation. This is especially the case for units that are very small or in an urban area. Nobody wants an activation to be denied. Proper coordination with NPS staff at units listed as "extremely sensitive" will increase your chance of success. There are 36 activations on tap between February 17-24, including the San Antonio Missions National Historical Park (HP39) in Texas and San Juan National Historic Site (NS63) in Puerto Rico. Due to unforeseen circumstances, Maxim Memorial Station W1AW will not be on the air on Thursday, February 18, for its regular evening bulletin and code practice transmissions. W1AW will return to its normal operating schedule on Friday, February 19. We apologize for any inconvenience. The new Amateur Extra class license examination question pool, effective from July 1, 2016, through June 30, 2020, now is available at the National Conference of Volunteer Coordinators (NCVEC) website. The latest revision contains a few minor corrections that had been released in a February 5 errata of the initial January 8 release. NCVEC Question Pool Committee Chair Rol Anders, K3RA, said the new pool represents a fairly significant change relative to the current question pool, which expires on June 30. "The primary change is modernization of the pool to place more emphasis on digital communications, digital test equipment, software defined radios, and propagation/space weather," he said. "Also, a number of other topics were added, including questions on some additional antenna types commonly used by radio amateurs." Anders said that room to cover the new topics was made in the question pool by dropping some questions that had been in the expiring pool. Read more. A large screen in the Royal Masonic School auditorium displayed the Ham TV image of Astronaut Tim Peake, KG5BVI, at GB1SS. system as he spoke on February 11 with students at a school in Rickmansworth, England. The DATV system in the Columbus module of the ISS allowed students at Royal Masonic School, home of GB1RSM, to see as well as listen, as Peake, operating as GB1SS, answered their questions about life in space. The one-way DATV downlink took place near 2.4 GHz, while the two-way FM audio component was maintained on 2 meters. The IK1SLD ground station received the Ham TV signal. "It was a historic event!" enthused past ARISS-EU Chair Gaston Bertels, ON4WF, who helped shepherd the DATV system into existence after it was first proposed more than 15 years ago. As students at the all-girls school looked on, Peake's image appeared on a large viewing screen before a fully packed auditorium. Peake's Principia Mission has been aimed at engaging students on Earth in science, technology, engineering, and mathematics (STEM) subjects. Read more. The Amateur Radio on the International Space Station (ARISS) program is seeking proposals from schools and formal or informal educational institutions and organizations -- individually or working together -- to host an Amateur Radio contact next year with an ISS crew member. The window to accept proposals opened on February 15, and the deadline to submit one is April 15. 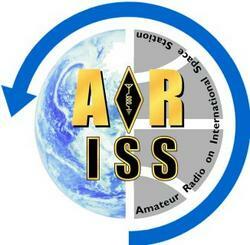 ARISS anticipates that contacts would take place between January 1 and June 30, 2017. Crew scheduling and ISS orbits will determine the exact contact dates. To maximize these radio contact opportunities, ARISS seeks proposals from schools and organizations that can draw large numbers of participants and integrate the contact into a well-developed education plan. Each FM-voice contact lasts about 10 minutes. ARISS contacts offer the opportunity for students and educators to interact with an ISS crew member in a question-and-answer format, so participants can learn firsthand from the astronaut or cosmonaut what it's like to live and work in space and to learn about space research on the ISS. Students also will get a chance to observe and learn about satellite communication, wireless technology, and radio science. Former ARRL staffer Joel Hallas, W1ZR, is the winner of the 2015 Bill Orr, W6SAI, Technical Writing Award. Hallas was recognized for his March 2015 QST article, "Standing Wave Ratio -- What Does It Really Mean?" "I am surprised, pleased, and honored to receive this award and hope to continue to be able to contribute and give back to this wonderful hobby that has had such a big impact on my life," said Hallas. "I started in ham radio at age 13, and it provided a focus for the rest of my life." The 2015 Bill Orr, W6SAI, Technical Writing Award winner Joel Hallas, W1ZR. The Bill Orr, W6SAI, Technical Writing Award is bestowed each year to the author who writes an outstanding QST article or series on new or existing technologies or on methods or means of amateur communication. Articles must be written in an easily understood style, worthy of the Bill Orr "stamp of approval," and encourage interest and expand the knowledge and understanding of amateurs who may lack a strong technical background. The QST editorial staff serves as the selection panel and recommends the winner from a review of the year's QST articles to the ARRL Foundation Board for final approval at its Annual Meeting. "Joel is one of those people who 'retire,' but just can't stop working," said ARRL Publications Manager and QST Editor Steve Ford, WB8IMY. "He may be one of the most prolific QST writers ever." Hallas, who lives in Westport, Connecticut, joined the ARRL Headquarters staff in 2003. By the time he retired as the Technical Editor of QST in 2013, he was responsible for the magazine's technical content, the "Doctor is IN" and "Product Review" columns, as well as for short articles aimed at beginners. In addition he has written some 150 QST articles and several books published by ARRL. The Bill Orr Award comprises an engraved plaque and $250, to be presented at an ARRL convention. Read more. 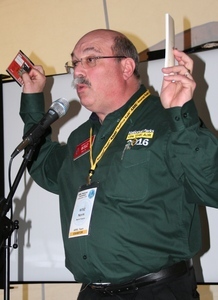 The winner of the 2015 ARRL International Humanitarian Award -- Antonio Gonzalez, EA5RM -- has been active as a volunteer with the non-governmental organization Radioaficionados Sin Fronteras (RSF), Radio Amateurs Without Borders, that stresses the importance of radio in projects involving groups of geographically separated collaborators. The 2015 ARRL International Humanitarian Award recipient Antonio Gonzalez, EA5RM. Gonzalez has made six visits to the Bolivian Amazon in support of Solidaridad Médica España, an NGO that works to bring sanitation and medical assistance to places in need around the world. He's also been instrumental in the building, testing, and maintenance of solar-powered HF Amateur Radio stations in remote locations in Bolivia on behalf of RSF since 2007, to facilitate communication into the remote locations he visits. The ARRL Programs & Services Committee recommended Gonzalez for the award at the ARRL Board of Directors annual meeting in mid-January. "What a surprise!" was Gonzalez's reaction when learning he would be the recipient of the award. "I don't have words to express myself." Gonzalez said the only aim of his group's volunteer efforts is to improve the lives of others. 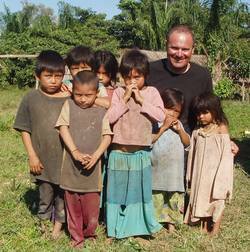 Antonio Gonzalez during one of his humanitarian visits to the Bolivian Amazon. Gonzalez was nominated by Paul Ewing, N6PSE, the president of the Intrepid-DX Group. "I have known Antonio, EA5RM, since 2010. He is a devoted family man and public servant in Spain. 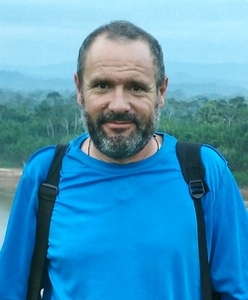 He is a keen DXer, and he regularly organizes DXpeditions to remote and rare places. Antonio pays for all of this travel from Spain to Bolivia," Ewing wrote. 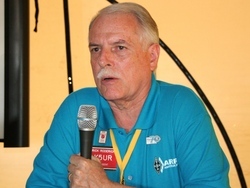 "Given his many missions in support of the large humanitarian project, I feel that Antonio Gonzalez, EA5RM, is worthy of this nomination for the 2015 ARRL Humanitarian Award." 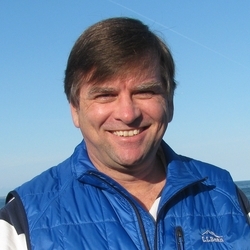 Ewing is a co-leader of the VP8STI/VP8SGI DXpedition to South Sandwich and South Georgia, and Gonzalez has served as Chief Pilot Station for the DXpedition. International Amateur Radio Union President Tim Ellam, VE6SH/G4HUA, says Amateur Radio is "probably more relevant today than it was 25 years ago." Ellam made the comment during an interview with Maximilian Jacobson-Gonzalez at the 2nd Global Forum on Emergency Telecommunications (GET-2016), held in late January in Kuwait and sponsored by the International Telecommunication Union (ITU). The event's slogan was "Saving lives." IARU President Tim Ellam, VE6SH/G4HUA, speaks at a GET-2016 forum. "We're so dependent now on all kinds of systems of communications -- everyone has a cell phone, everyone is used to using the Internet -- but they're not used to what happens when those systems go down," Ellam said. "Amateur Radio is there. It relies on somewhat old fashioned technology, but there are also advancements in technology that we rely on." Ellam pointed out that hams can use computer-based digital techniques to pass message traffic at very low power levels and under poor propagation conditions. "Amateur Radio has kept pace by developing new ways to communicate," he said. Among the major challenges Amateur Radio is facing, Ellam cited the difficulty in some countries to obtain an Amateur Radio license. In addition, he said, some countries impose high duties on imported ham gear, and some make it difficult to erect appropriate antennas and support structures. Ellam reiterated his focus on the value of the Amateur Service today when he spoke to two sessions at the GET-2016 gathering. "Amateur operators are on the ground. If they're not close to the site of a disaster, they might even be in it," he told a Leaders' Dialogue forum. "They're there. They're ready to go. For the first 24 to 48 hours you have people on the ground, ready to assist. They own their own equipment. They don't rely on commercial networks. If cellular service goes down, we can assist by using HF or VHF or UHF communications on a peer-to-peer basis." Ellam pointed out that, although he's not an engineer and does not work in a technical field, he knows enough to get on the air using alternate power sources and a very simple wire antenna. "Don't forget the Amateur Radio services," he implored those attending the forum. "They're a great asset to you in times of crisis." Randy Thompson, K5ZD, said February 9 that he will step down as director of the CQ World Wide Contest as soon as his replacement can be found. His announcement includes a job description for prospective applicants. Thompson cited increasing professional responsibilities for his decision. 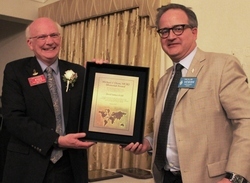 Thompson became director of the CQ WPX Contest in 2008, serving through the 2012 contest. He was appointed as CQ WW Contest Director in September 2012. "I have enjoyed working on the CQ contests and hope to stay involved with the websites and log checking," Thompson said. "The demands of a new job are preventing me from dedicating the time that the role deserves. With WPX, WW, and WRTC 2014 activities over the past 8 years, I am ready for a break." Under his leadership, the CQ WPX and CQ WW contests have improved the log-checking process and enforcement actions against rule violations. The web sites for the two contests were enhanced to include a historical database of all-time scores, records, results, and log submission tools. Read more. Dave Swanson, KG5CCI, of Arkansas has achieved another distance milestone on the venerable AO-7 satellite using Mode B (70 centimeters up/2 meters down). On February 10, Swanson, on Shinnal Mountain west of Little Rock (EM34st), completed a scheduled contact with Eduardo Erlemann, PY2RN (GG66lw), a calculated distance of 8030.895 kilometers (approximately 4979.2 miles), which Swanson said was "way beyond the theoretical range AO-7" and a feat that "the math said shouldn't be possible." The tricky part was that, given their respective locations in the Northern and Southern hemispheres, the window allowing both to access the satellite at the same time was on the order of 5 seconds. After several attempts, they agreed to use quick call sign/grid square reports. "At 2009 UTC, both stations clearly heard the other's call and grid, completing the contact," Swanson said. "It was extremely rapid and very weak, but clear...I think this is approaching the limits of what can be done on AO-7." PY2RN has posted his side of the contact, which Swanson called "by far the hardest sked I've ever attempted." Tad Cook, K7RA, Seattle, reports: Sunspot numbers and solar flux declined over the past week relative to the previous 7 days. The average daily sunspot number dipped from 86.6 to 56.7, while the average daily solar flux slid from 117.4 to 107.8. Geomagnetic indices were up. The average daily planetary A index went from 9.4 to 17.7, and the mid-latitude A index jumped from 7.4 to 12.6. Early this week Spaceweather.com was anticipating a CME, but instead we got a stiff solar wind, causing the planetary A index to rise to 38 on February 16 and to 34 the next day. Predicted planetary A index is 14, 12, and 8 on February 18-20; 5 on February 19-29; 15, 10, 12, and 8 on March 1-4; then 5, 15, 10, and 8 on March 5-8; 5 on March 9-10; 8, 5, 27, and 12 on March 11-14; 20, 12, 10, and 8 on March 15-18, and 5 on March 19-27. 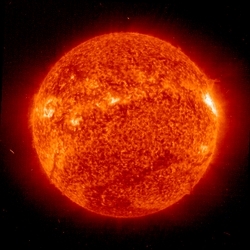 Predicted solar flux is 95 on February 18-20; 100 on February 21-22; 105 on February 23-24; 110 on February 25; 115 on February 26-28; 118 on February 29; 120 on March 1-3; 115 on March 4-5; 110 on March 6-7; 105 on March 8-12; 108 on March 13-14, and 105, 103, 106, and 107 on March 15-18. Sunspot numbers for February 11 through 17 were 68, 74, 46, 52, 48, 49, and 60, with a mean of 56.7. The 10.7 centimeter flux was 112.8, 112.2, 110.3, 108, 107.3, 104, and 99.9, with a mean of 107.8. Estimated planetary A indices were 11, 13, 7, 10, 11, 38, and 34, with a mean of 17.7. Estimated mid-latitude A indices were 8, 11, 7, 6, 10, 25, and 21, with a mean of 12.6.